We have had unseasonably warm weather here in Northern California and it’s got us wanting to get up and move. 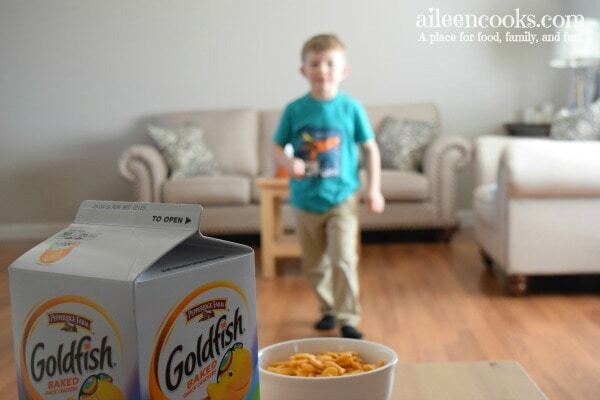 I decided to create a fun game with my son using Pepperidge Farm® Goldfish® Crackers at Walmart. I call it the Goldfish crackers relay race and it was a lot of fun! I bought the Goldfish crackers Cheddar 30 oz. 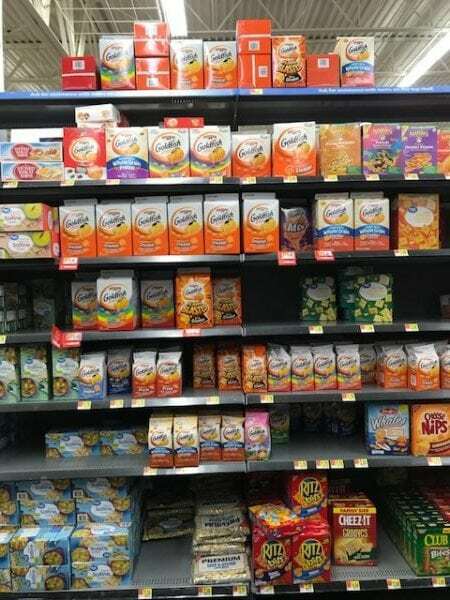 carton and Goldfish crackers Colors 30 oz. carton in-store at Walmart on exclusive rollback for $6.46 each. 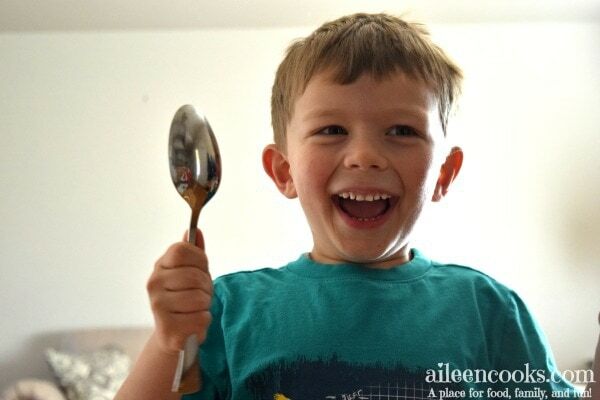 To start, you will need Goldfish crackers, two bowls (or more for multiple players), spoons, and two surfaces. 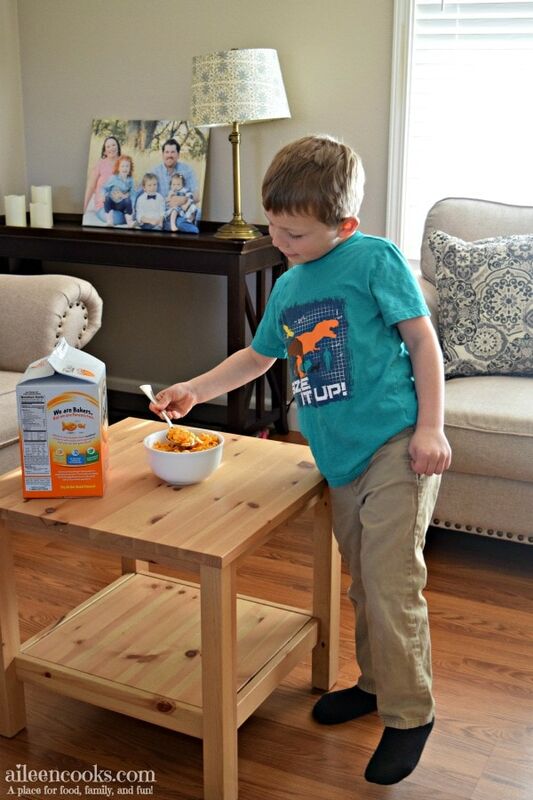 I used our end tables to set up the start and finish of our Goldfish crackers relay race. The object of the game is to get all of the Goldfish crackers from one bowl to the other bowl across the room. You can only use the spoon. For a single player, set a stopwatch and have them race against the clock. They can play a second time and try to beat their original time. For multiple players, have them race against each other with separate bowls of Goldfish crackers. If you drop any Goldfish crackers you have to pick them up and go back to the starting line. 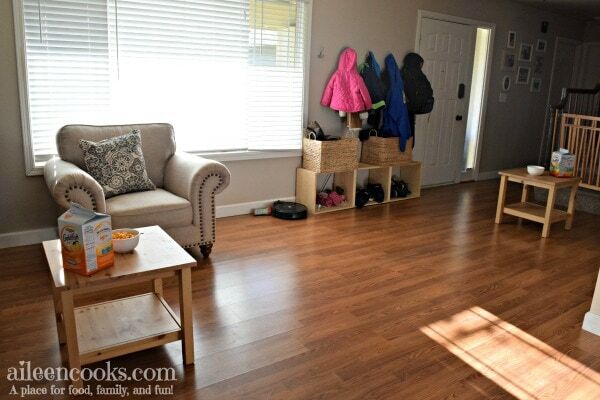 William figured out real quick that he needed to walk carefully with his spoonful of Goldfish crackers, but then could run back when his spoon was empty. The look on your face when you’ve finished your Goldfish crackers relay race!!! He especially liked this game because he got to enjoy his favorite snack at the end. 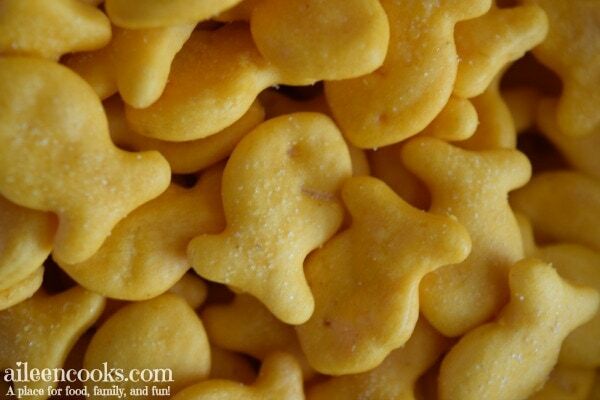 I grew up eating Goldfish crackers and now I give them to my kids. They’re wholesome, easy to serve, and please everyone. I love that they are baked with real cheese. 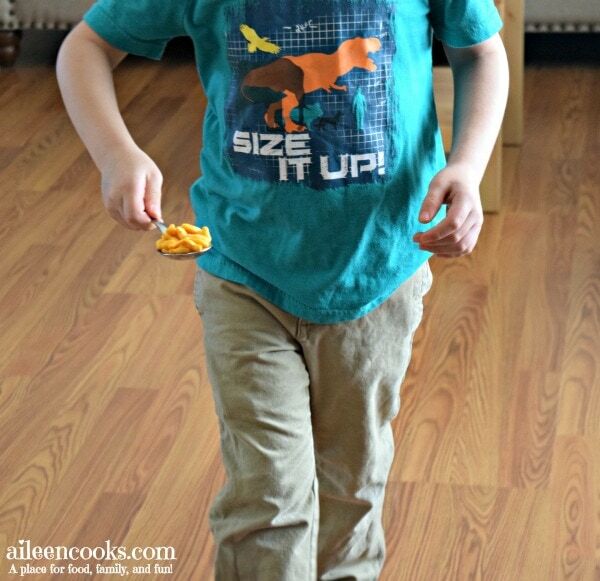 Did you try the Goldfish crackers relay race? 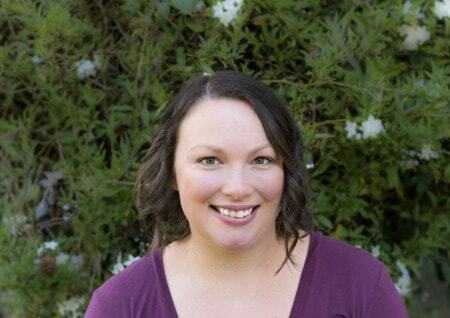 Let us know what you thought in the comments or tag us on social media using @aileencooks! For more game time inspiration, visit the Goldfish crackers hub.